Christ United is equipped to offer supportive services to families who need assistance during the stress that occurs at the time of a death. We can help you with planning a funeral, memorial service, or inurnment at Christ United. Funeral and memorial services include planning of scriptures, music, assistance with a memory table, providing a memorial book, assistance with placing an obituary in the paper, and more. Arrangements will also be made for a meeting with the minister who will be conducting the service, the Director of Music, and a representative from Care Ministries. A reception at Christ United, either before or after the funeral, can also be arranged for family and friends. In life and death and life beyond death, God is with us, we are not alone, we are God’s people now and evermore. We pray that we can assist and support you and your family in any way that we can during this time. If you would like more information or would like to schedule an appointment, please contact Rev. Mike Flynn or call (972) 596-4303 (Hours: 9 AM-5 PM Monday through Thursday and 9 AM-12 PM Friday). If calling after hours, call (972) 596-4303, then press “8” at the prompt. Your call will be answered in a very timely manner. We want to be able to serve you during this time in your life and assist you in any way we can. In modern times, the churchyard is no longer used as a place of burial. However, Christ United is able to provide a columbarium for the secure placement of urns containing the cremated remains of both present and former members and their families. Our columbarium assures a peaceful and respectful resting place for all. 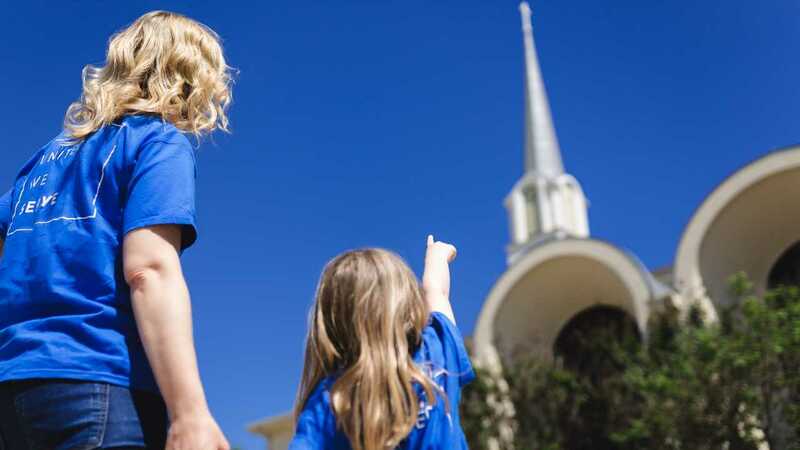 – Pre-selecting a site will give church members and their family assurance that Christ United will provide respectful, responsible, and pastoral care for the site in perpetuity. – Purchasing a columbarium niche eliminates the pressures of choosing a burial site, casket, vault, and monument. There is no need to plan for inurnment and memorial services at different locations and times. – A columbarium provides substantial savings. Each designated place containing the cremated remains of a loved one in a columbarium is referred to as a niche. All niches in the Christ United columbarium are double niches suitable for holding two urns. The cost of a niche, two urns, and perpetual care is $3000*. (The costs associated with cremation, services by a funeral home, or arrangements other than those mentioned above are not included). To save costs on placement in the columbarium, ask for the temporary container furnished by the funeral home. We will then transfer the remains into the urn provided by us. The urn provided by the Christ United Columbarium at no extra cost must be used for the inurnment. *There is a one-time fee of $150 for engraving. If you are a past or present member or family member and would like to purchase a niche, you must first visit our church office to select your nich(es) and sign a contract. After you have signed a contract you may either pay by check or pay online. To learn more about planning a memorial service / inurnment, please call or email Marylin Smith at (972) 596-4303, Ext. 228. Visit here to see a list of reputable funeral homes in the Plano area. Prices shown are not guaranteed. We suggest you visit/contact several funeral homes before making a final decision. Christ United does not endorse any of these funeral homes. While funeral homes will assist with preparation of obituaries at no charge or a nominal cost, the family bears the cost of publishing the obituary. To save costs for placement in the columbarium, ask for the temporary container furnished by the funeral home. We will then transfer the remains into the urn provided by us. The urn provided by the Christ United Columbarium at no extra cost must be used for the inurnment. *There is a one-time fee of $150 for engraving. 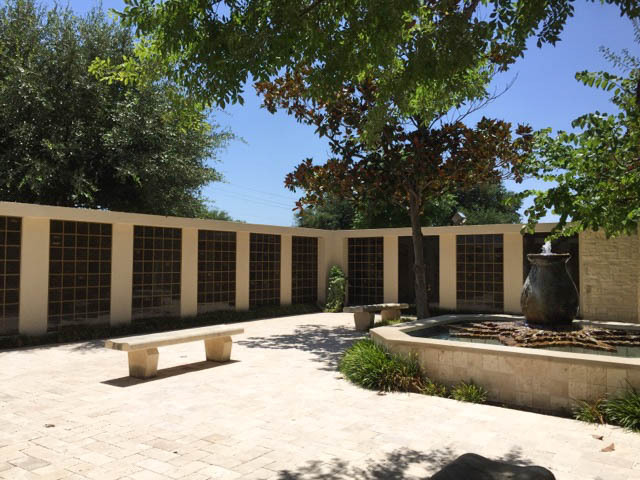 Administration of the columbarium is under the supervision of the Board of Trustees of Christ United Methodist Church, Plano, Texas. The actions of the Board of Trustees are subject to approval by Christ United’s charge conference.